Influences of adenosine 2A receptor (A2AR) activity on the cardiac transcriptome and genesis of endotoxemic myocarditis are unclear. We applied transcriptomic profiling (39 K Affymetrix arrays) to identify A2AR-sensitive molecules, revealed by receptor knockout (KO), in healthy and endotoxemic hearts. Baseline cardiac function was unaltered and only 37 A2AR-sensitive genes modified by A2AR KO (≥1.2-fold change, <5 % FDR); the five most induced are Mtr, Ppbp, Chac1, Ctsk and Cnpy2 and the five most repressed are Hp, Yipf4, Acta1, Cidec and Map3k2. Few canonical paths were impacted, with altered Gnb1, Prkar2b, Pde3b and Map3k2 (among others) implicating modified G protein/cAMP/PKA and cGMP/NOS signalling. Lipopolysaccharide (LPS; 20 mg/kg) challenge for 24 h modified >4100 transcripts in wild-type (WT) myocardium (≥1.5-fold change, FDR < 1 %); the most induced are Lcn2 (+590); Saa3 (+516); Serpina3n (+122); Cxcl9 (+101) and Cxcl1 (+89) and the most repressed are Car3 (−38); Adipoq (−17); Atgrl1/Aplnr (−14); H19 (−11) and Itga8 (−8). 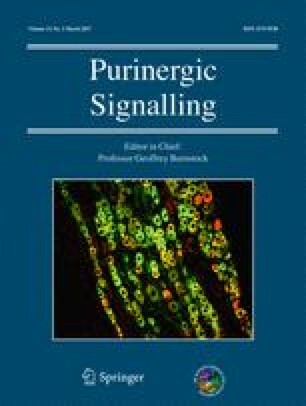 Canonical responses centred on inflammation, immunity, cell death and remodelling, with pronounced amplification of toll-like receptor (TLR) and underlying JAK-STAT, NFκB and MAPK pathways, and a ‘cardio-depressant’ profile encompassing suppressed ß-adrenergic, PKA and Ca2+ signalling, electromechanical and mitochondrial function (and major shifts in transcripts impacting function/injury including Lcn2, S100a8/S100a9, Icam1/Vcam and Nox2 induction, and Adipoq, Igf1 and Aplnr repression). Endotoxemic responses were selectively modified by A2AR KO, supporting inflammatory suppression via A2AR sensitive shifts in regulators of NFκB and JAK-STAT signalling (IκBζ, IκBα, STAT1, CDKN1a and RRAS2) without impacting the cardio-depressant gene profile. Data indicate A2ARs exert minor effects in un-stressed myocardium and selectively suppress NFκB and JAK-STAT signalling and cardiac injury without influencing cardiac depression in endotoxemia. The online version of this article (doi: 10.1007/s11302-016-9536-1) contains supplementary material, which is available to authorized users. This work was supported by the National Heart, Lung and Blood Institute grants HL-74001 (RRM), HL-027339 (SJM) and HL-48839 (PAH), an American Heart Association Southeast Affiliate Grant-in-Aid (PAH), a grant from the National Health and Medical Research Council of Australia (JPH) and the American Lebanese Syrian Associated Charities (RRM). We gratefully acknowledge the technical assistance of Kiel J. Headrick and Mary A. Cerniway. Conceived and designed the experiments: MER, KJA, JPH, RRM, SJM. Performed the experiments: MER, KJA, RRM, BT. Analysed data: KJA, MER, JPH, RRM, BT, LD. Generated and characterized KO mice: CL, PAH. Contributed reagents/materials/analytical tools: RRM, CL, PAH, KJA, JPH. Wrote the paper: KJA, MER, JPH, RRM, LMD, SJM.